If your mortgage lender has requested you write a letter of explanation to describe an extenuating circumstance that led to some blemishes in your loan application, consider it an opportunity to satisfy eligibility requirements. Sometimes the eligibility criteria may not be due to a low credit score. For example, if a borrower’s income is lower in the recent year compared to years previous in the same position, a mortgage underwriter may request a letter of explanation to clarify the discrepancy. 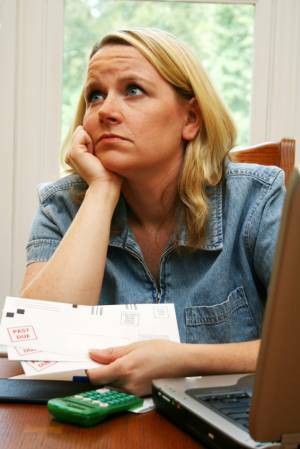 It may be that the borrower has an even that required a period of absence, such as a death in the family led to an extended bereavement from work. Explaining the circumstances that resulted in the discrepancy in income could settle any questions about the borrower’s income stability. Isolate the main question and organize all documents necessary to give the most straightforward explanation. You may be prompted to explain why you've had a lower salary or defaulted on a past loan. Format your letter like a timeline to ensure you don't leave anything out. Include any evidence that supports your claim: a note from your boss, doctor, lawyer, a police report, tax returns – appropriate documentation is contingent on circumstance. Stick to the facts and omit any embellishments. Consult with your mortgage professional. Ask if the letter is comprehensive and complete. If they suggest you include more supporting documentation, don’t fight it. While writing your letter can be a tedious process, it will ensure you’re properly cared for. 3. How has your situation changed, and what have you learned? This letter documents the circumstances surrounding my salary discrepancy for the year 2012, as well as one credit default as a result of this time, as described in connection with my mortgage application. June 14, 2012, I was in a car accident that resulted in a severe concussion and my vehicle being totaled. The collision has long since been declared the other driver’s fault, due to their running a red light. I have enclosed both a doctor’s note and an acknowledgment letter from my car insurance company confirming these details. I was unconscious for five days in the hospital and required to stay another 5 for exams before being released. In that time I used up my remaining sick and vacation time at work. I had already taken time off in February 2012 for my honeymoon. After being released from the hospital, I rested at home an additional three days before attempting to go back to work. While at work, I experienced severe dizziness. I am an accountant and spend all day examining figures on a computer screen, and it turned out to be too much after my concussion. While in the lunchroom I began to black out and two coworkers ran to catch me. My manager recommended I go home and stay home until I was truly able to withstand full-time work. I have enclosed notes from all three parties detailing these events. The next day I saw my doctor, and she recommended I spend one more week at home before another check-up. One week later I saw her again and was cleared to return to work. In total I missed 18 days of work, with 13 not covered by PTO, resulting in a $7,000 deduction from my salary overall. My American Express bill was due June 18 - my fourth day in the hospital. My wife did not make the payment because we opt for paperless billing and notifications are sent to my email address. She was in the hospital with me. I was unable to pay the bill until I had regained consciousness, recovered slightly, and checked my inbox. I found the late notice paid the bill immediately. Despite this setback and its overwhelming circumstances, I have always been in great standing with my credit, as evidenced by my 740 credit score. Thank you for allowing me to go into detail about these issues, whose resolutions are supported by the attached documents. I have experienced a very difficult year, but my wife and I have still managed to stay in great financial standing and have been fully insured on the medical and auto front. Please understand that these events were a rare and unwelcome occurrence, and I am made an even more excellent candidate by my ability to prepare well for unforeseen trouble. You will be glad you approved us for this loan.